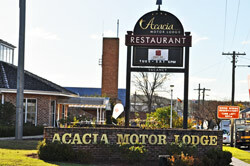 Acacia Motor Lodge is a 4 star luxury motel located on the Newell Hwy in Coonabarabran. Coonabarabran known as the “astronomy capital of Australia” is nestled at the foothills of the Warrumbungle Ranges, one of the state’s most accessible National Parks. With an average of 70% clear night skies, stargazers have beautiful views of our solar system. 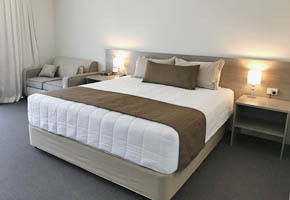 Acacia Motor Lodge features 23 rooms of luxury 4 star accommodation. 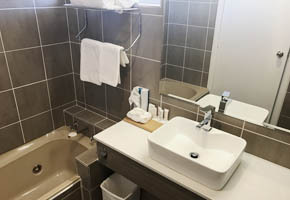 The spacious guest rooms include Standard, Deluxe, and Family suites all boasting Queen Beds, Reverse Cycle Air Conditioning, Ensuite Bathrooms, Free Austar TV, Free Wireless Internet Connection, Free Continental Breakfast (Gluten Free options available) and Tea/Coffee making facilities. 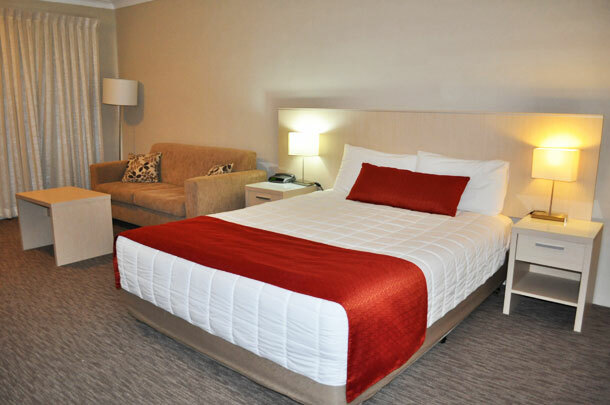 The Acacia Motor Lodge is renowned for its spacious rooms and its central location and is within easy walking distance of the hospital, shops and facilities within Coonabarabran. Acacia Motor Lodge situated in the middle of town is close to the many local attractions Coonabarabran has to offer including: Australian Museum Diprotodon Exhibition, Worlds Largest Virtual Solar System Drive, Milroy Observatory, Warrumbungle National Park Discovery Program, Warrumbungle Observatory, Coona Astro Ventures, Siding Spring Observatory, Goanna Tracks Motocross and Enduro Complex, Crystal Kingdom, Pilliga Pottery and Bush Café, Coonandry Wines and Wattagan Estate Winery.